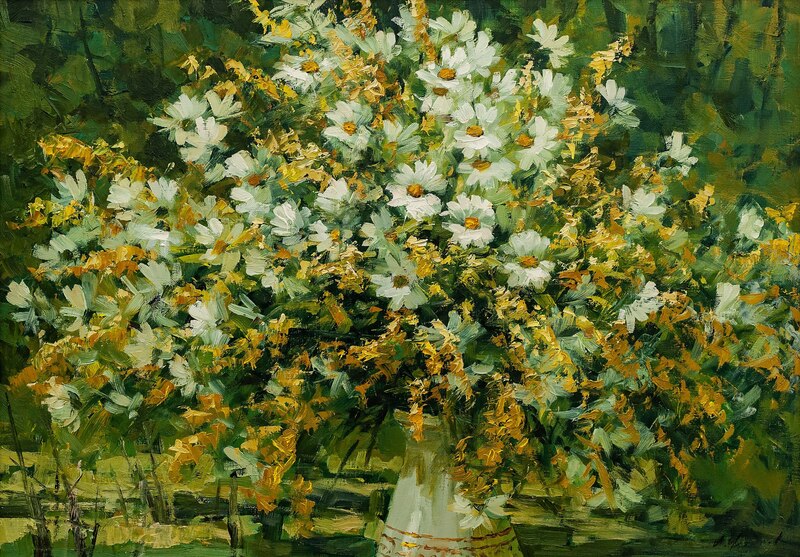 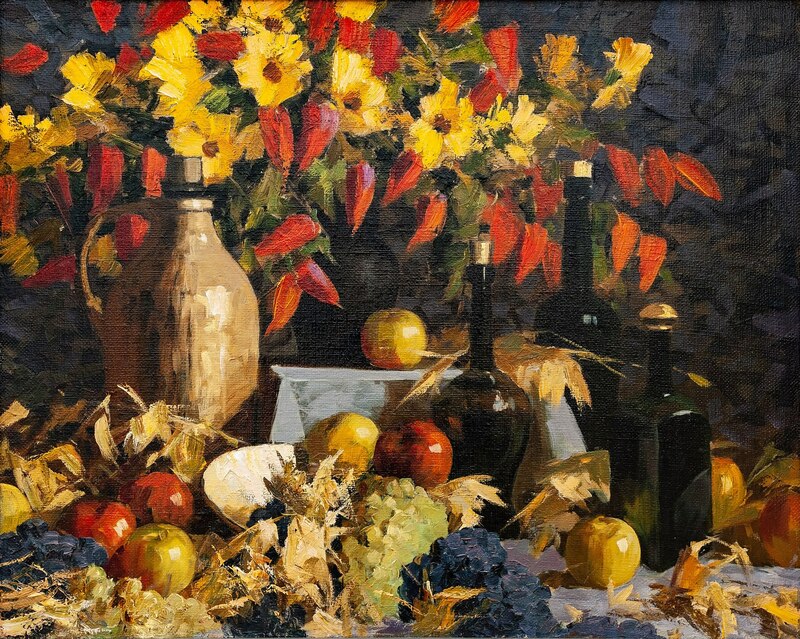 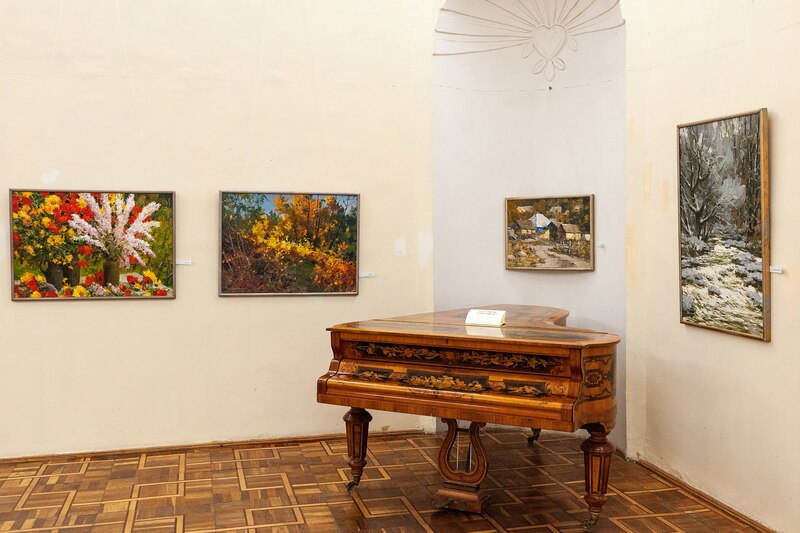 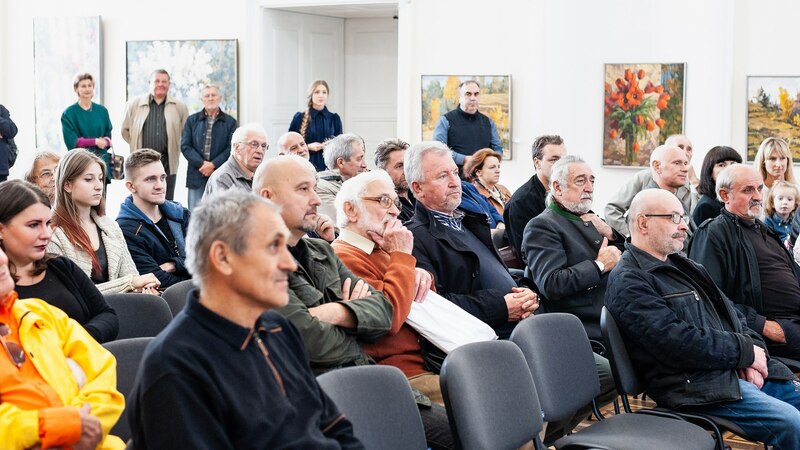 On 2 November 2018, at the Transcarpathian Regional Art Museum named after Y. Bokshai, it was presented a selection of paintings by the Kharkiv artist, a native of Transcarpathia, Oleksandr Fediaiev. 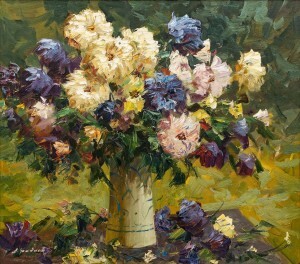 He was born on 28 July 1962 in Kostryno village, Velykyi Bereznyi district, Transcarpathia. 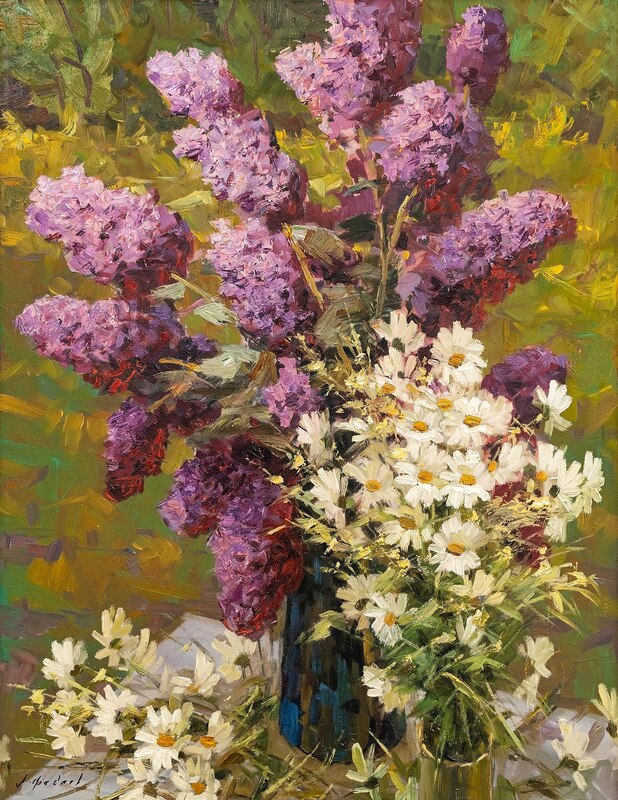 In 1988, he graduated from the Uzhhorod School of Decorative Arts, and in 2002 – the Kharkiv State Academy of Design and Arts. His teachers were A. Konstantynopolskyi. 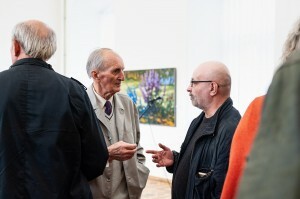 Y. Vintiaiev, and V. Kovtun. 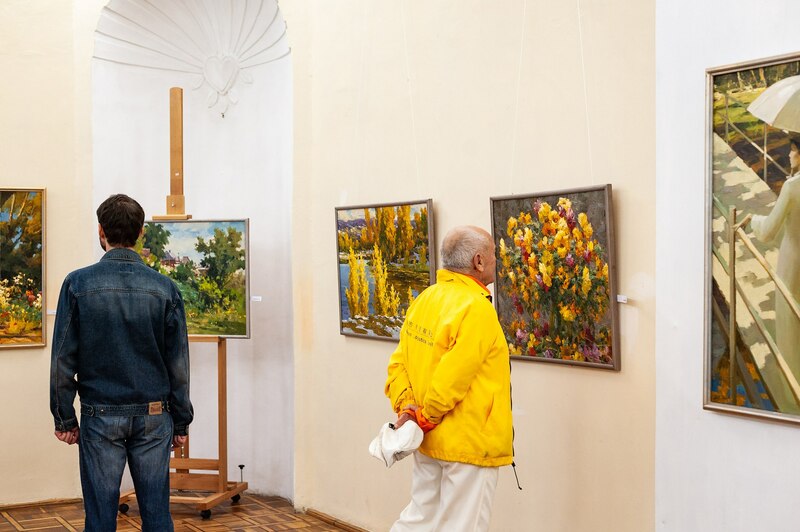 After graduation, Oleksandr stayed and worked in Kharkiv, became a member of the Regional Organization of the National Union of Artists of Ukraine, a teacher of the Kharkiv State Academy of Design and Arts. 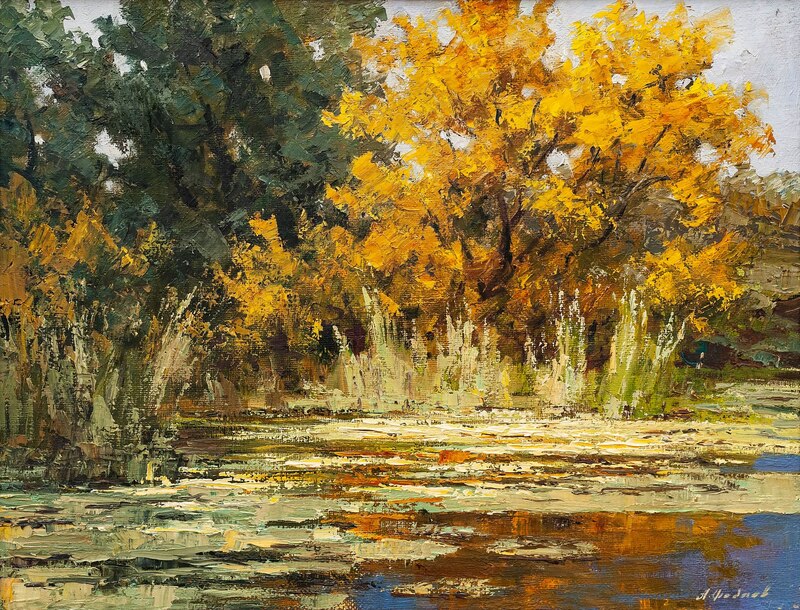 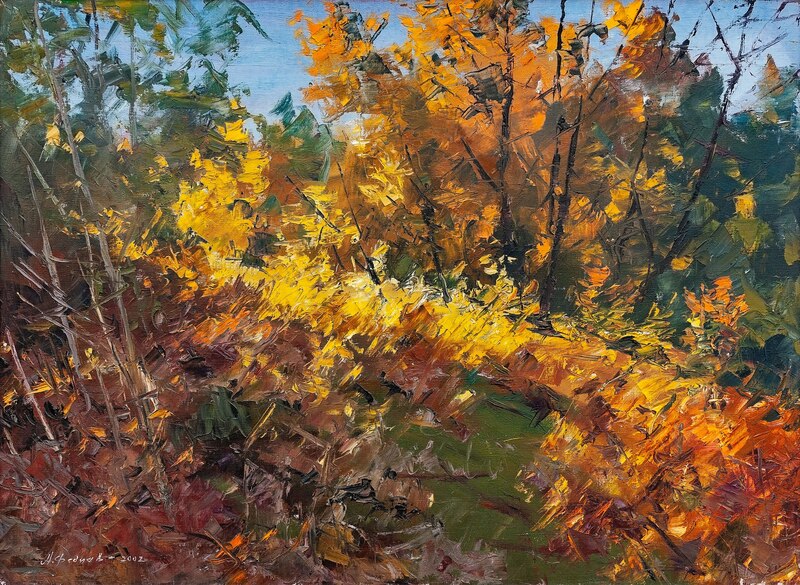 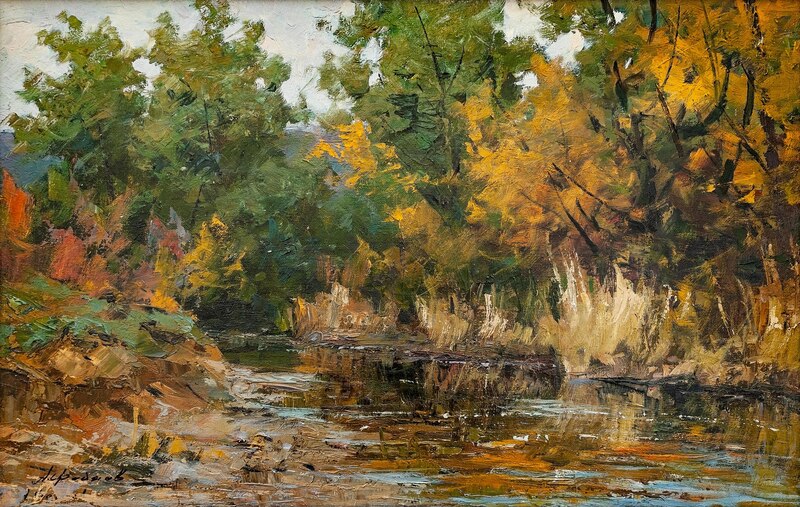 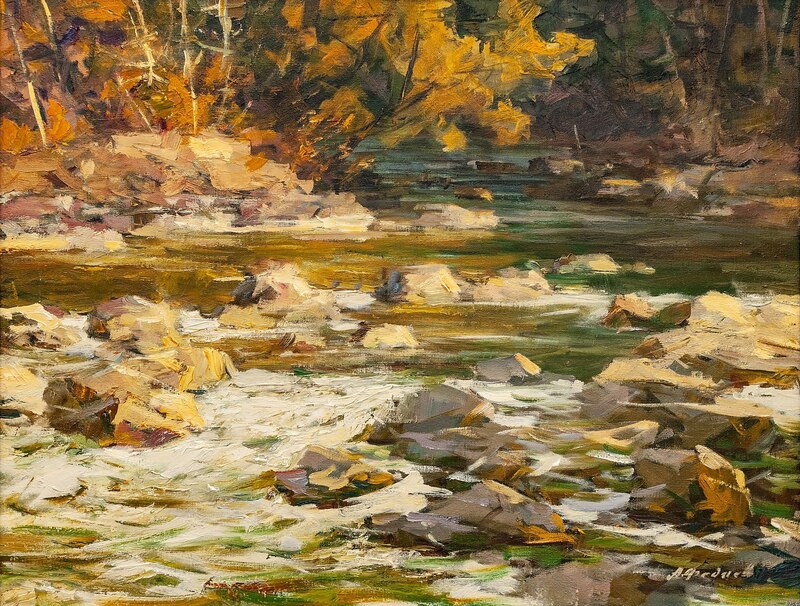 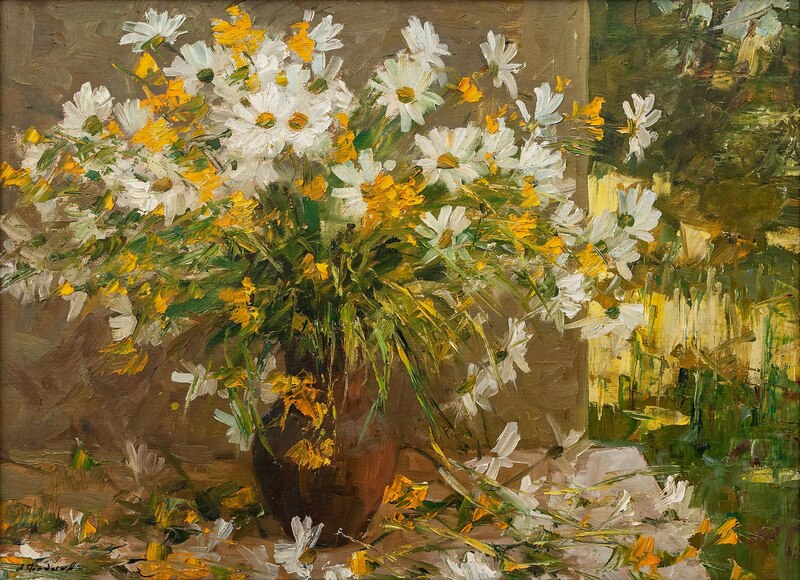 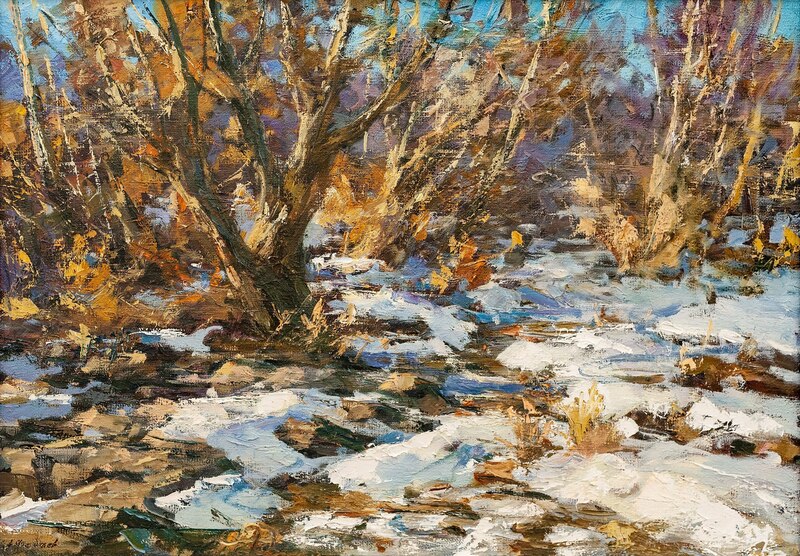 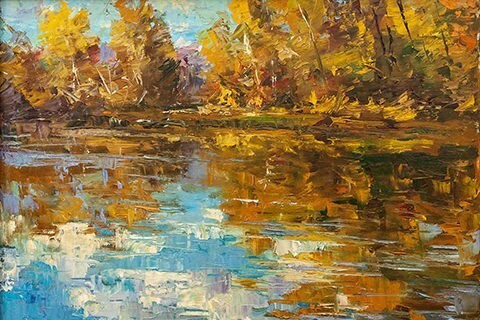 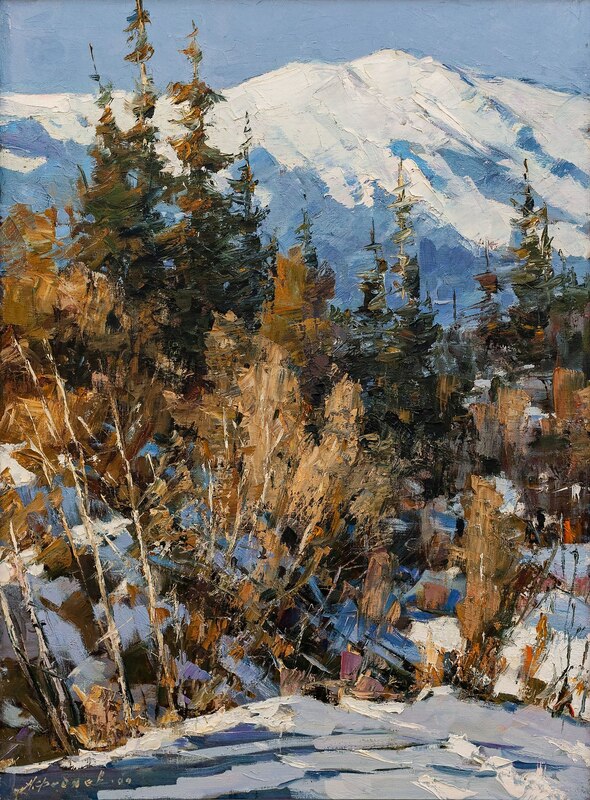 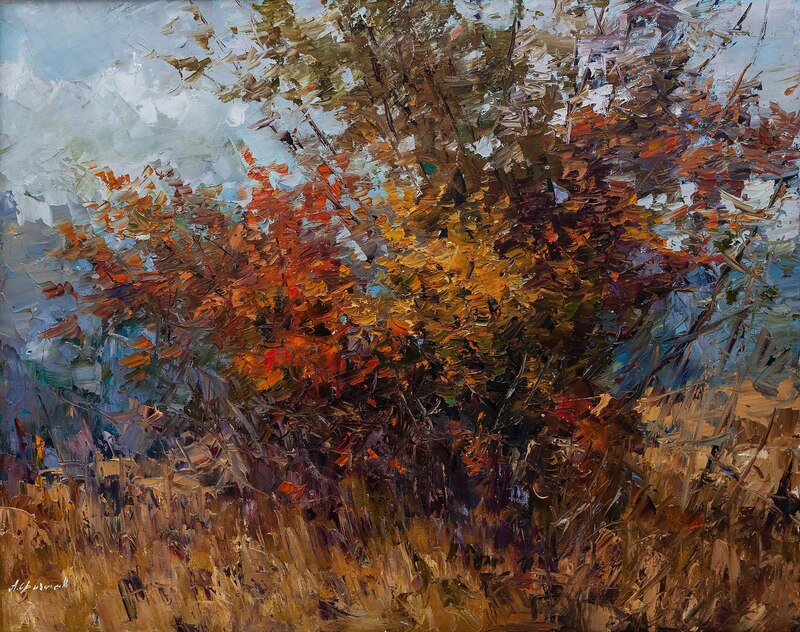 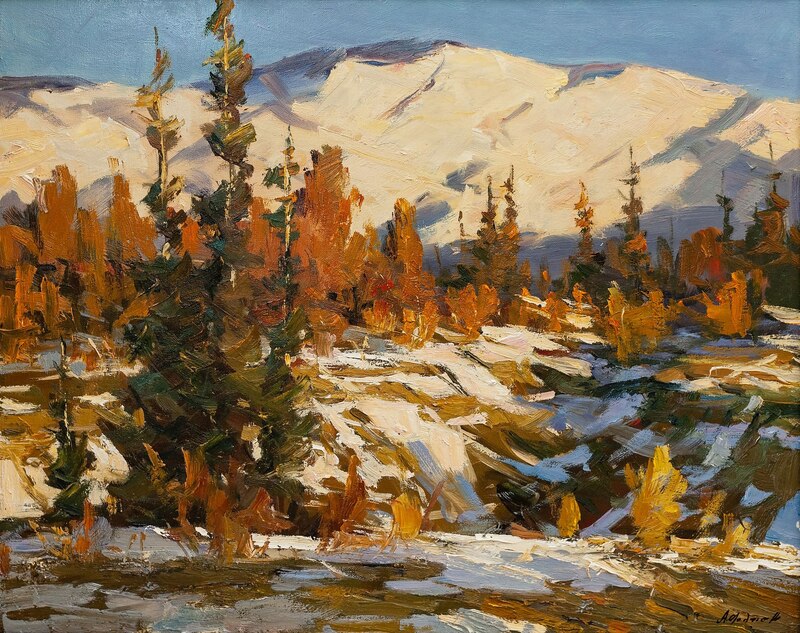 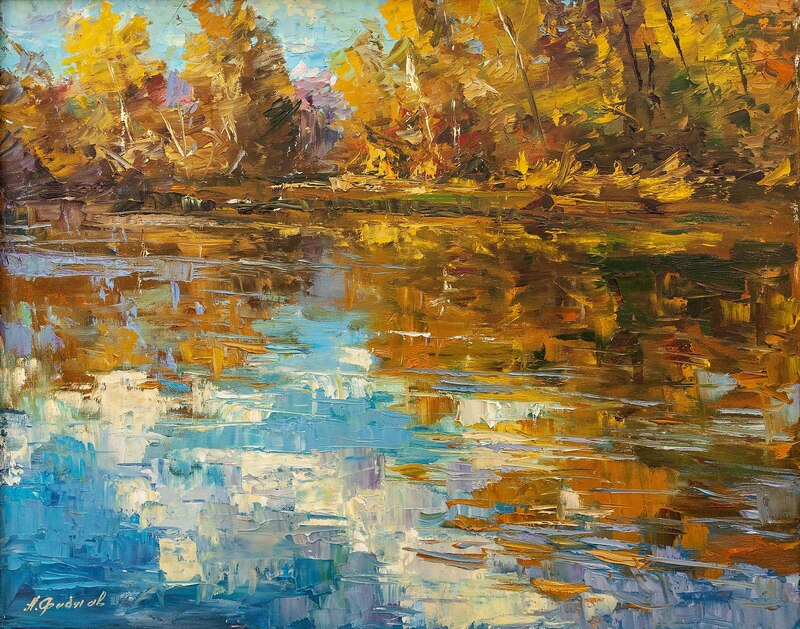 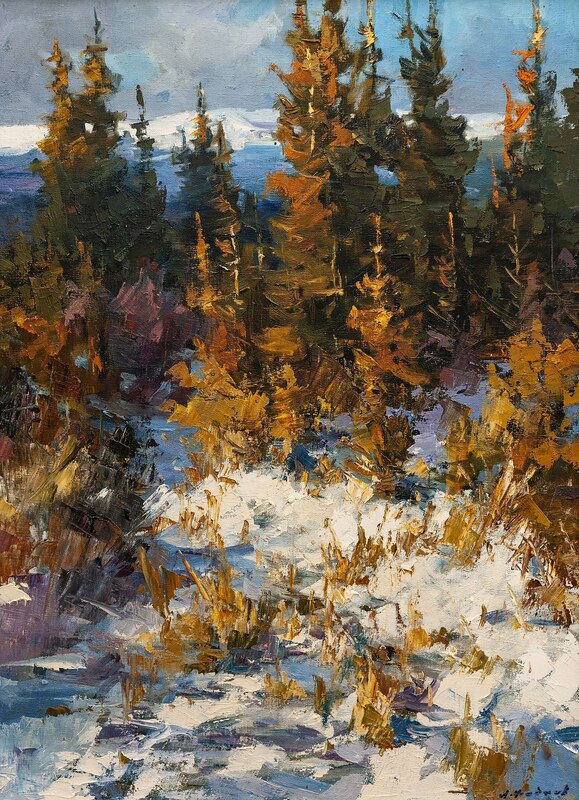 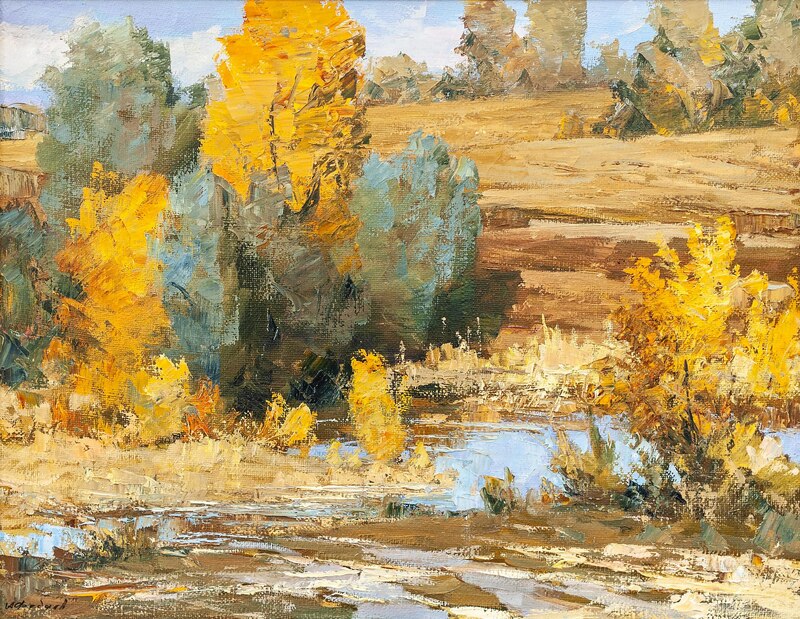 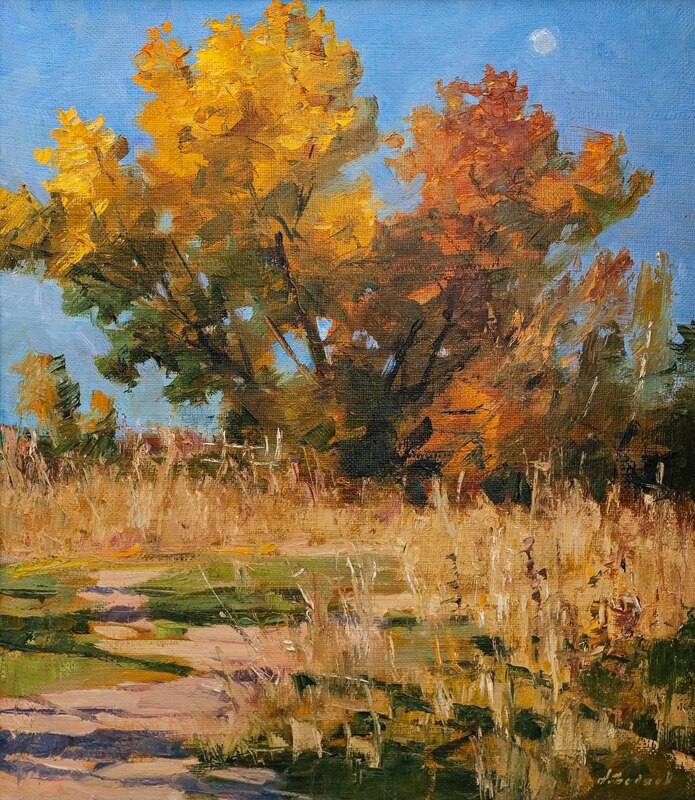 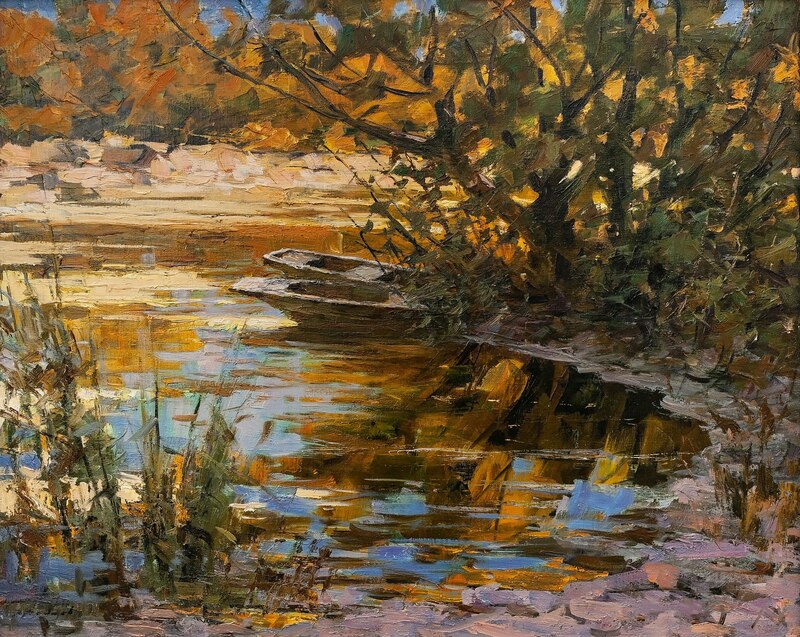 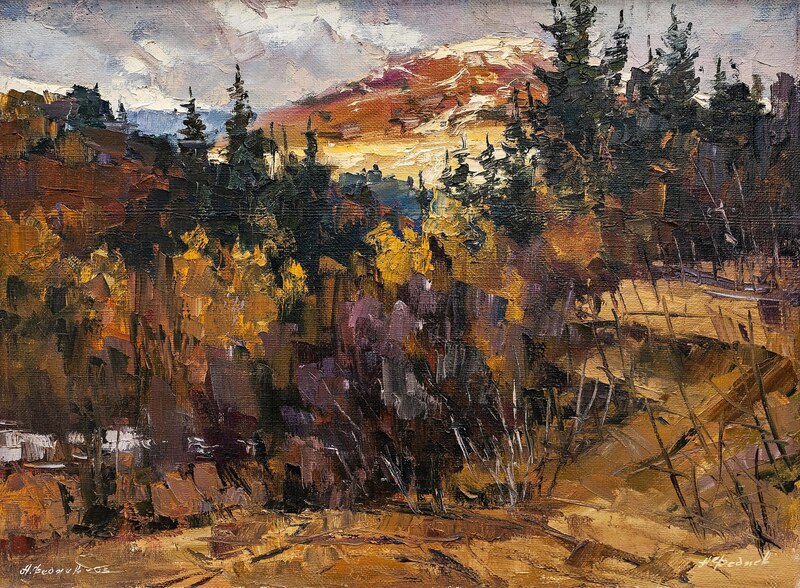 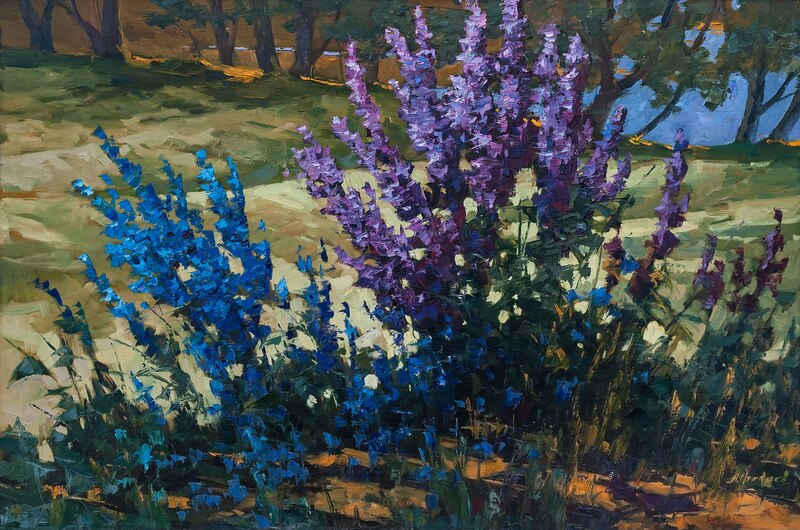 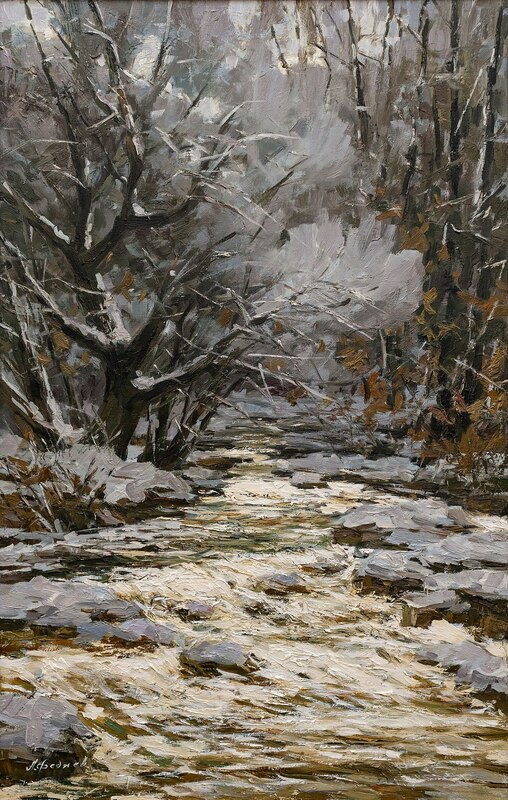 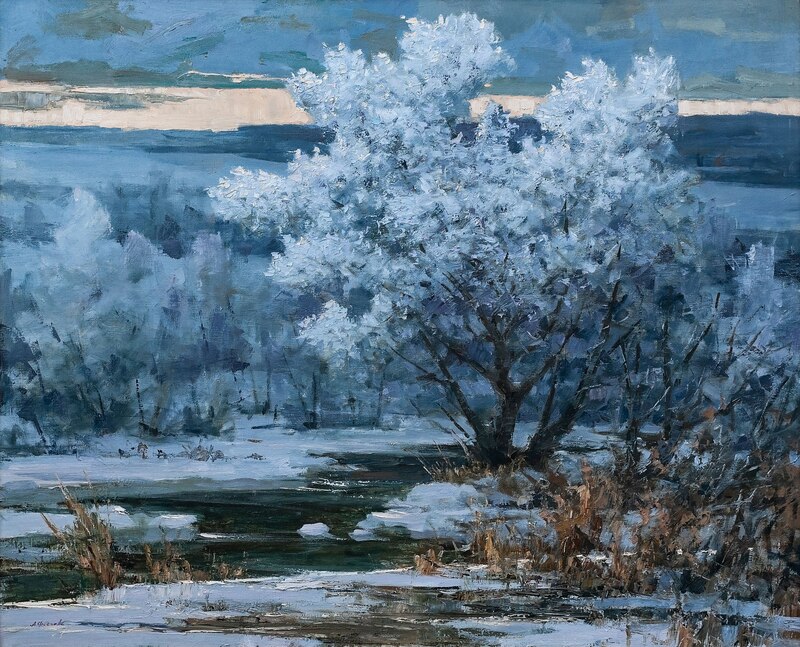 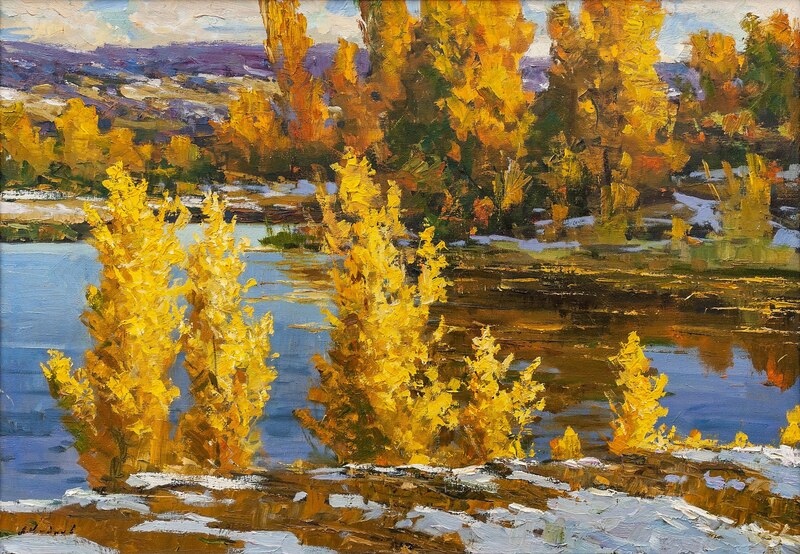 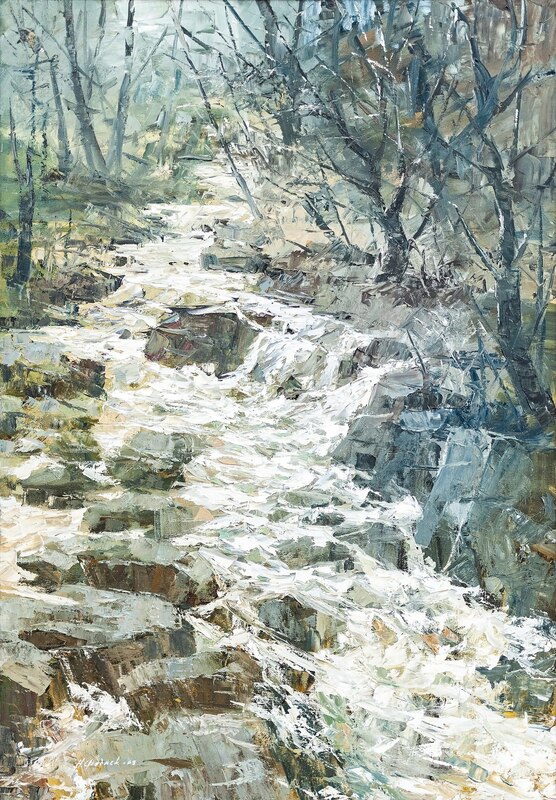 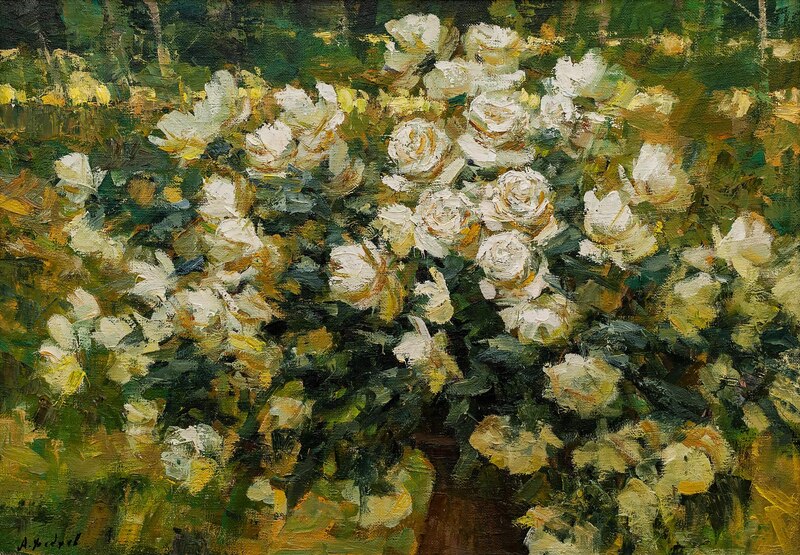 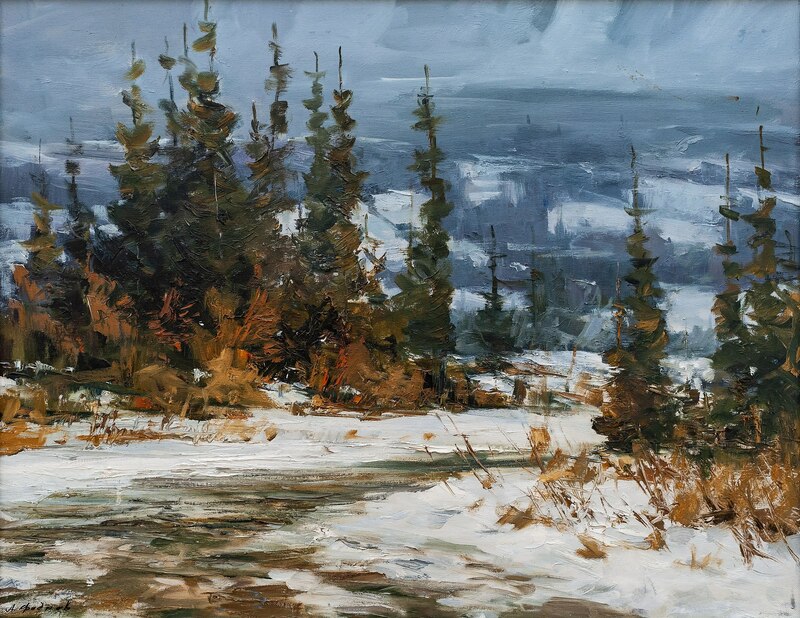 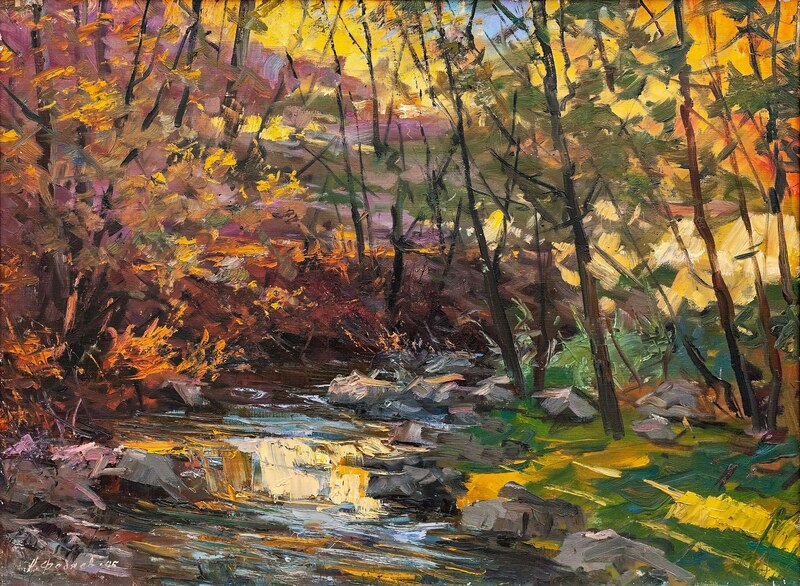 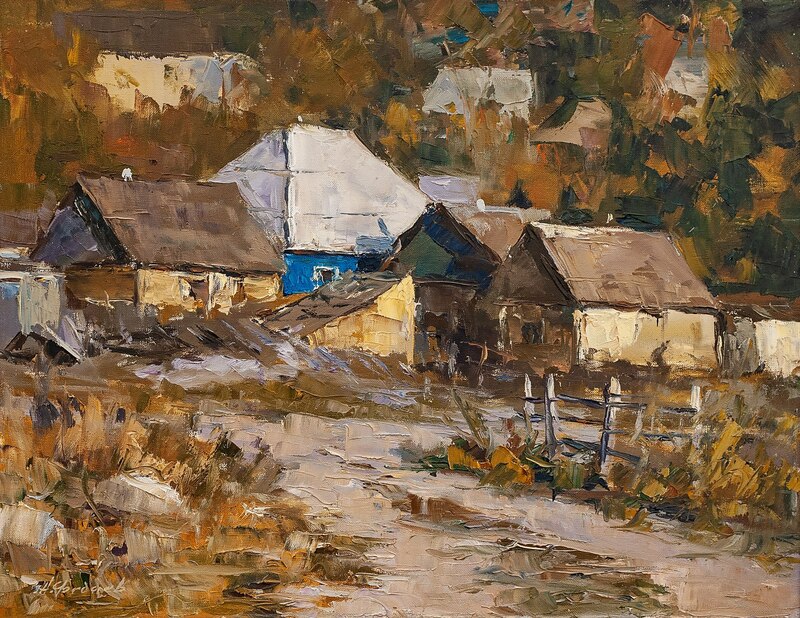 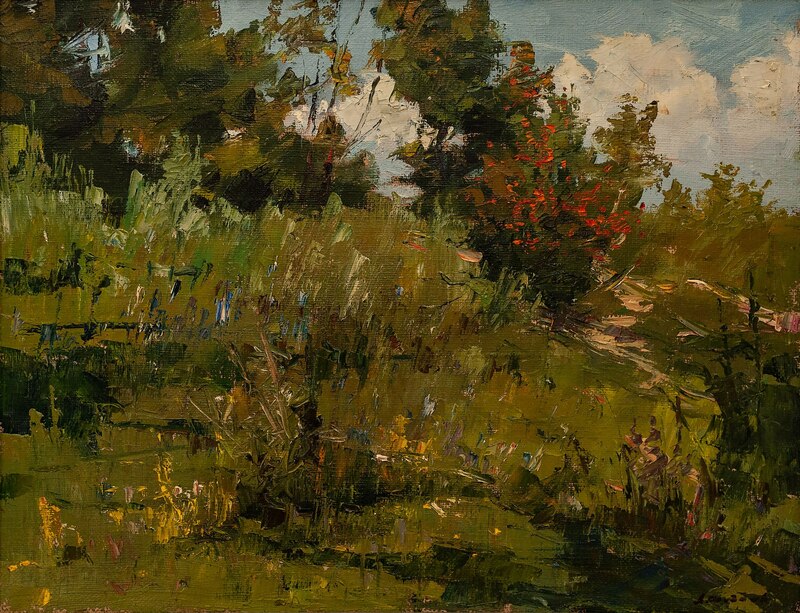 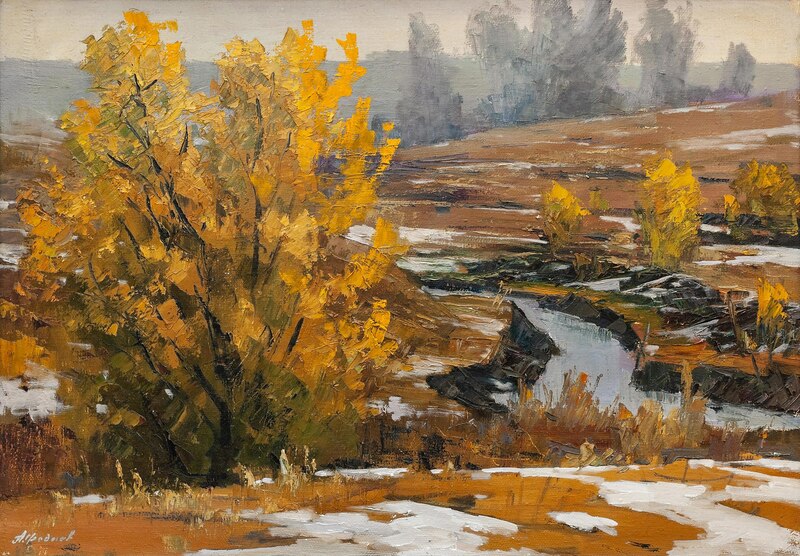 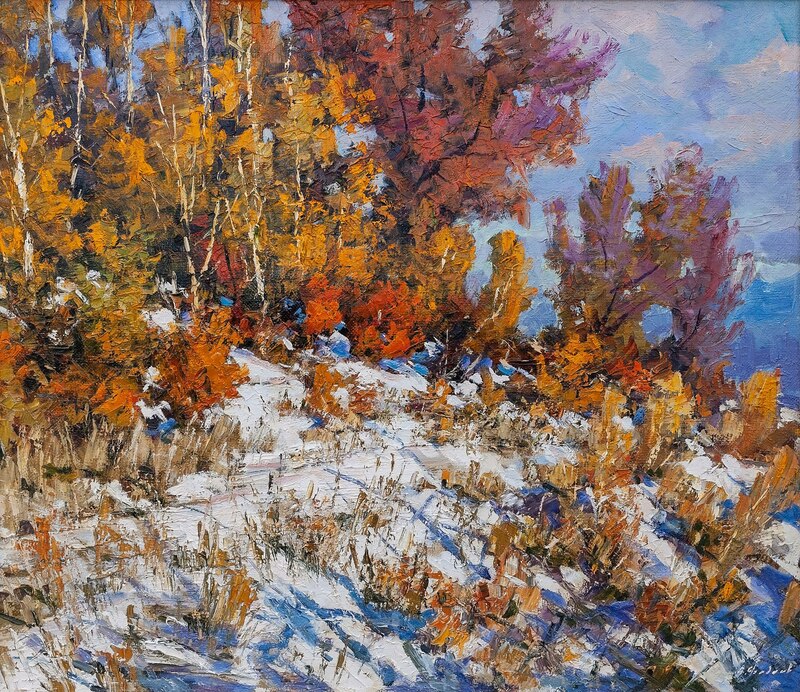 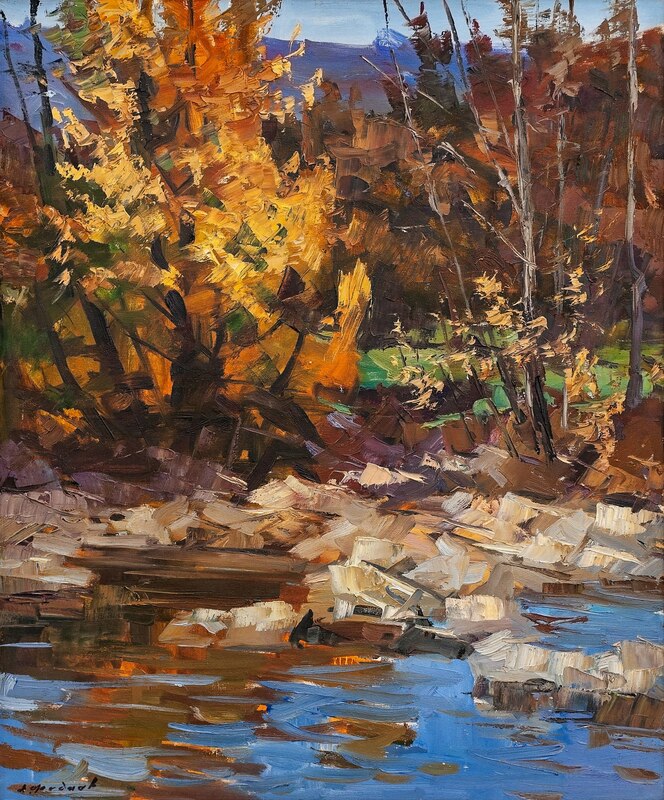 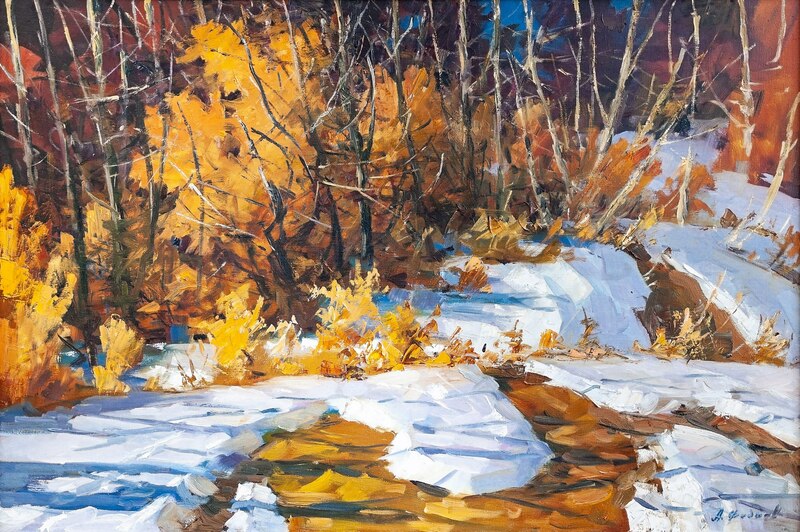 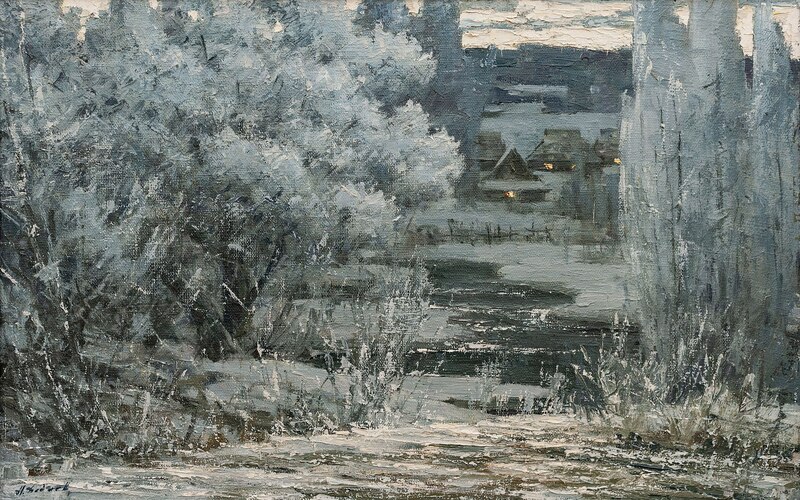 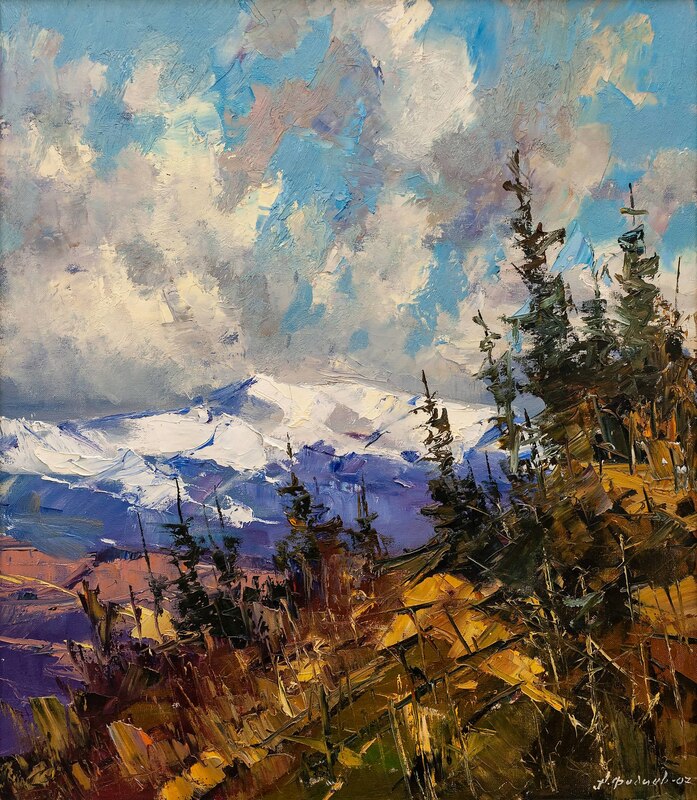 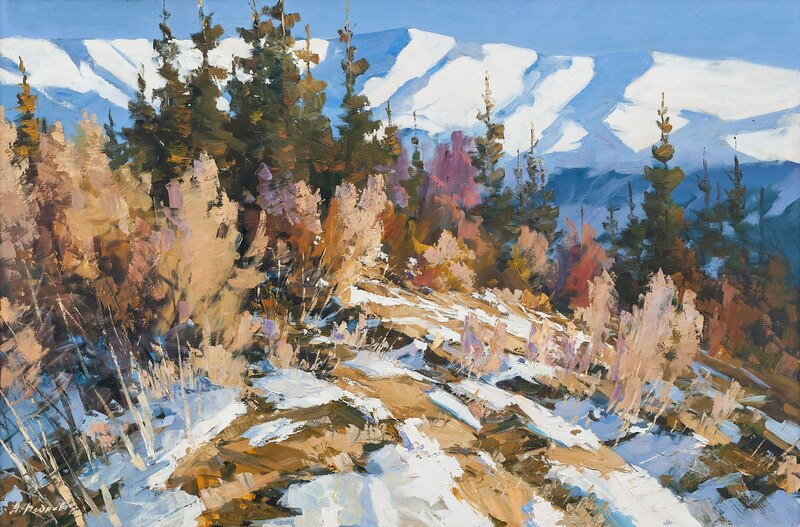 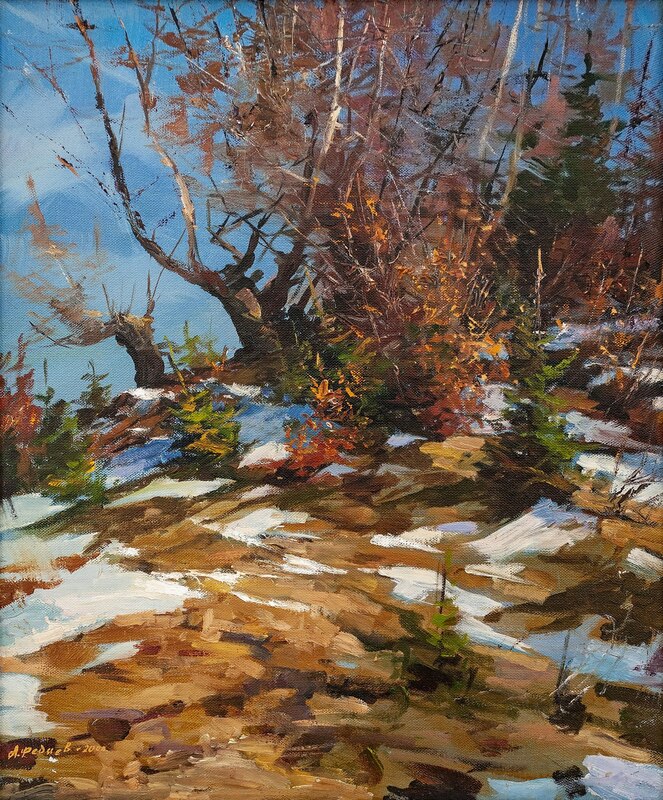 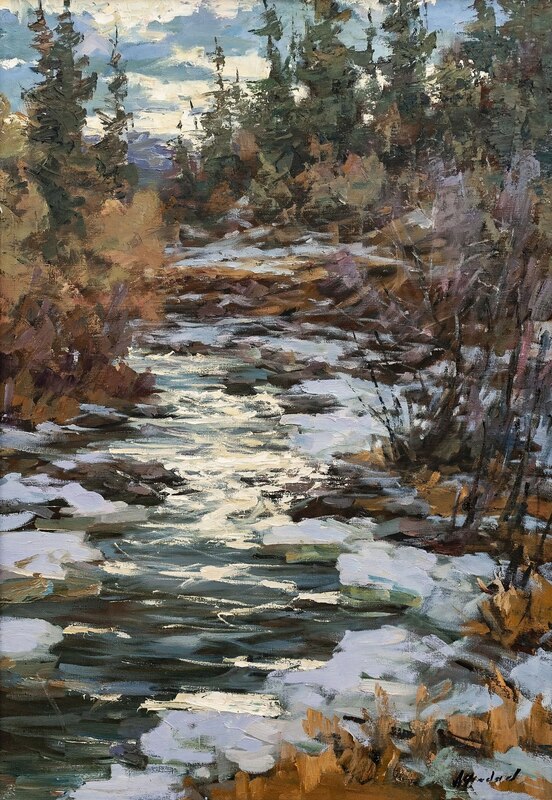 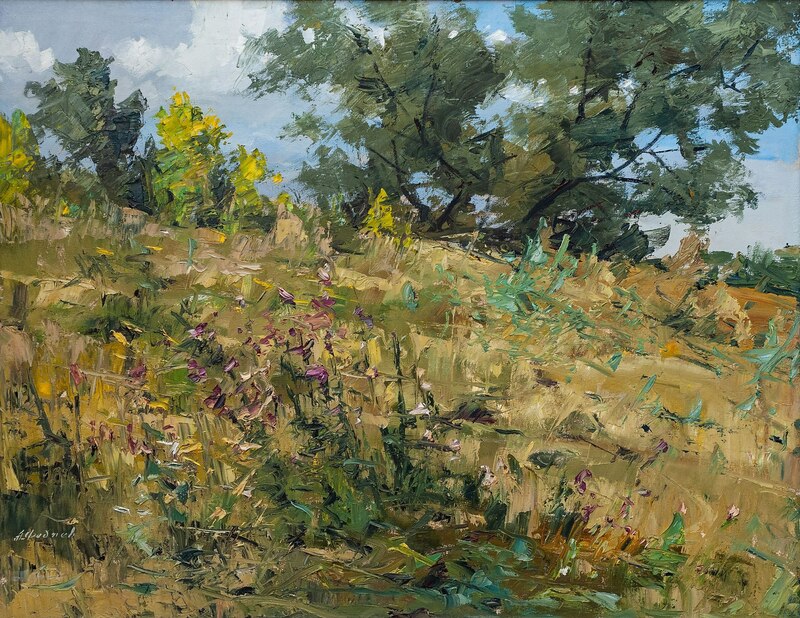 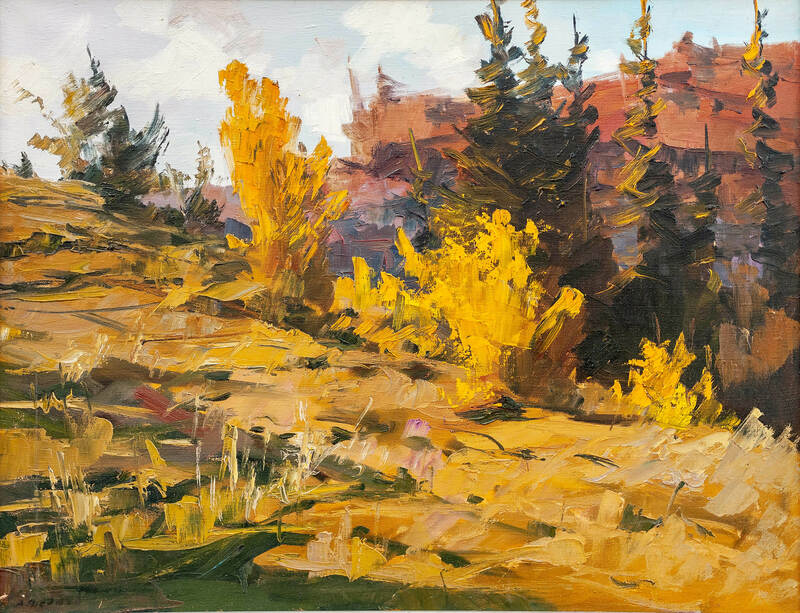 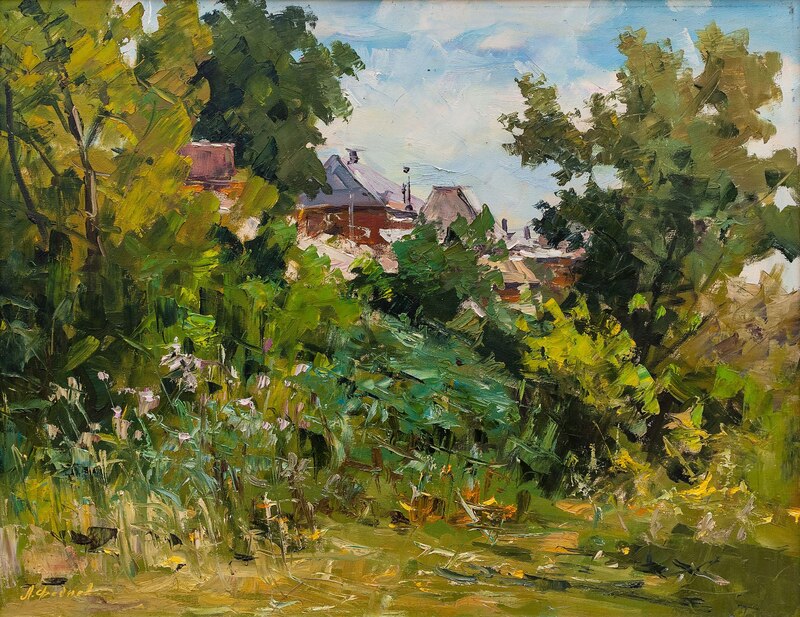 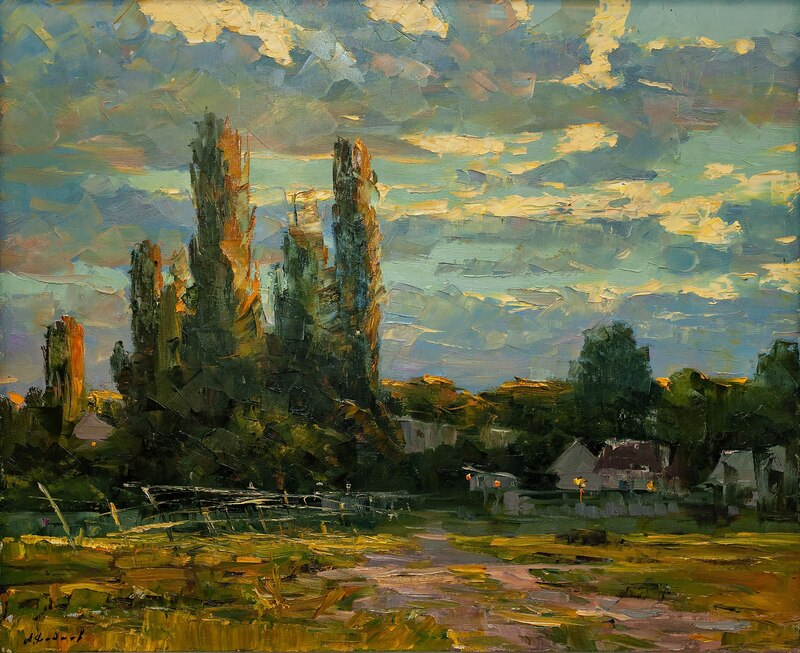 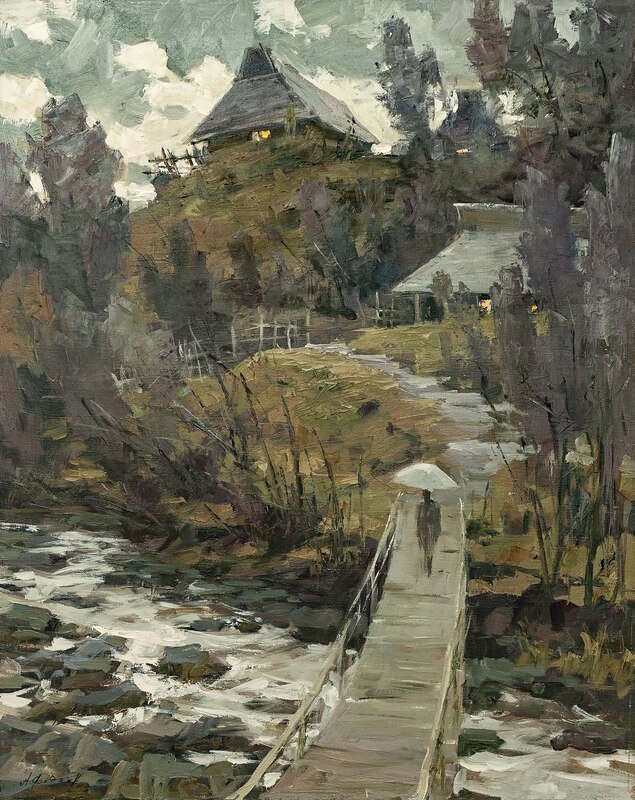 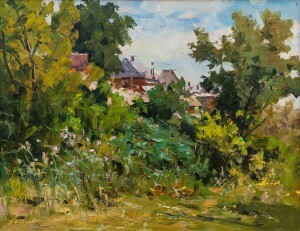 However, the artist always loves his native land, he often comes to Transcarpathia and together with his colleagues takes part in the plein air. 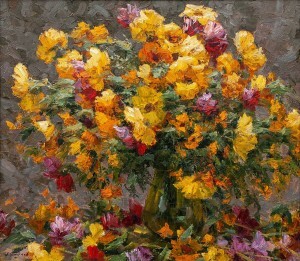 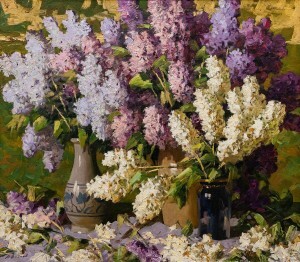 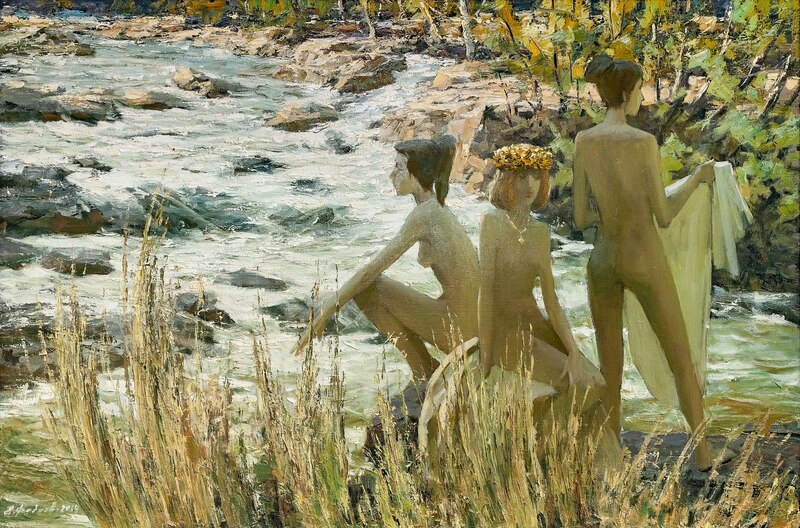 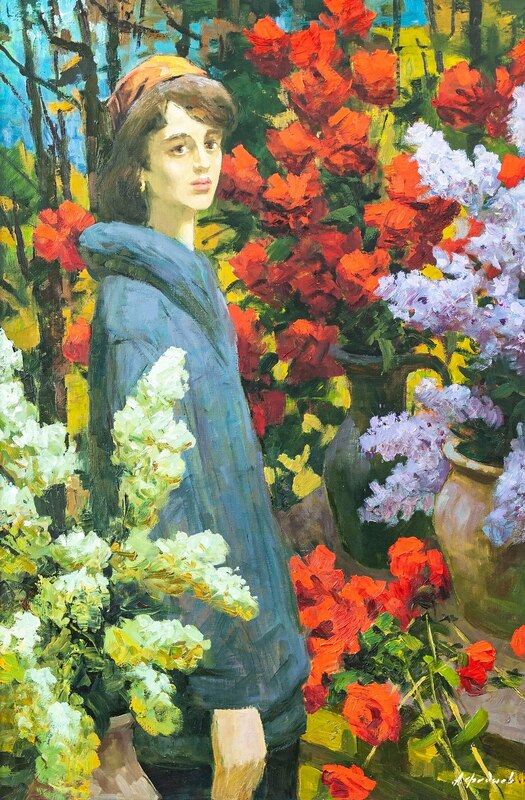 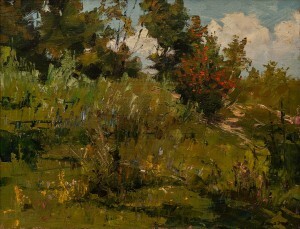 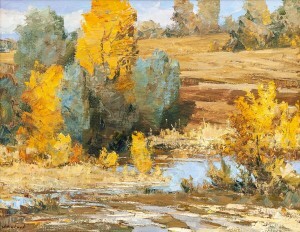 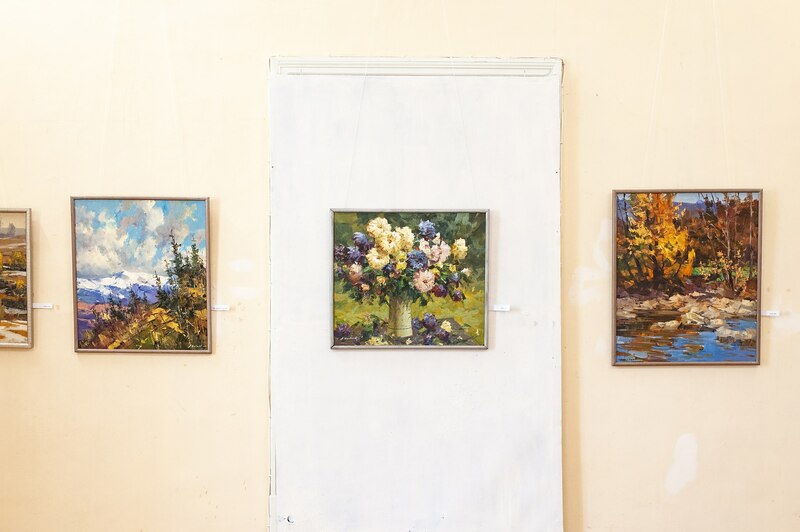 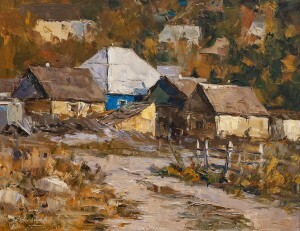 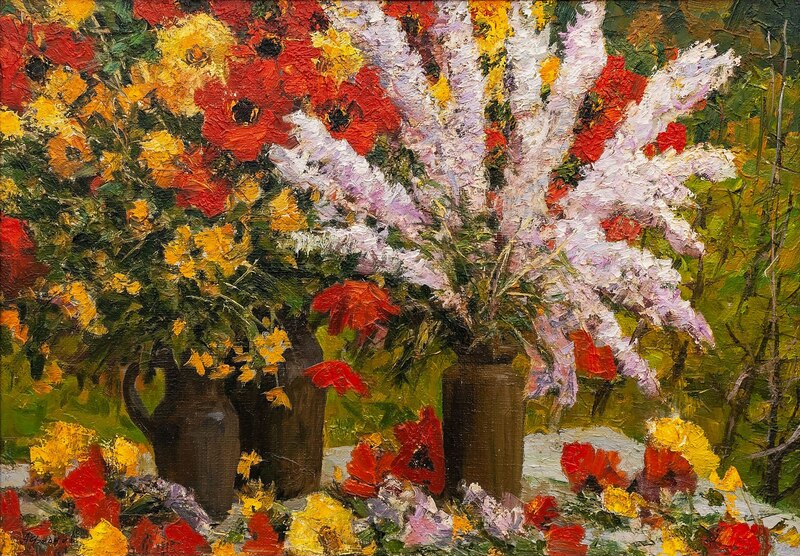 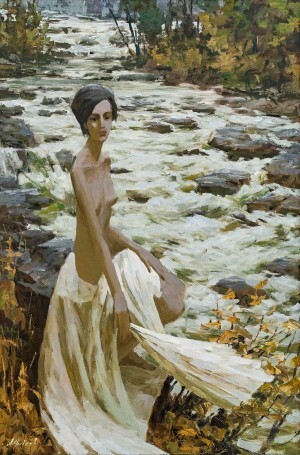 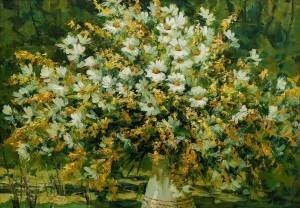 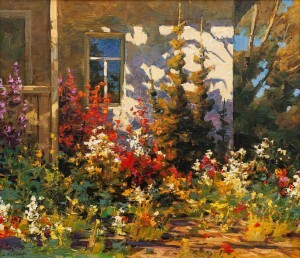 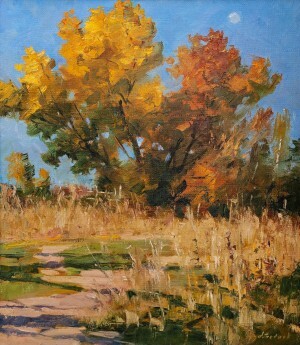 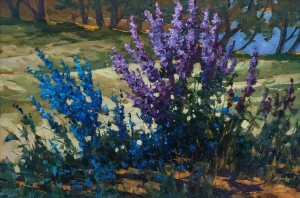 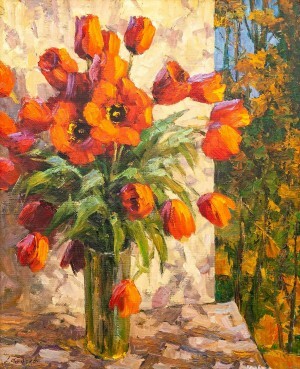 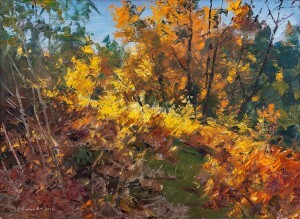 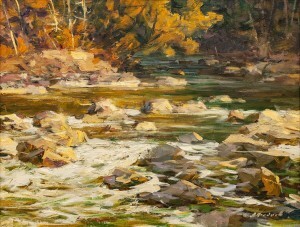 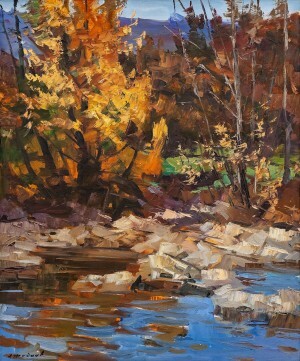 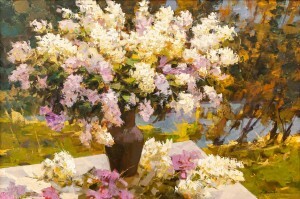 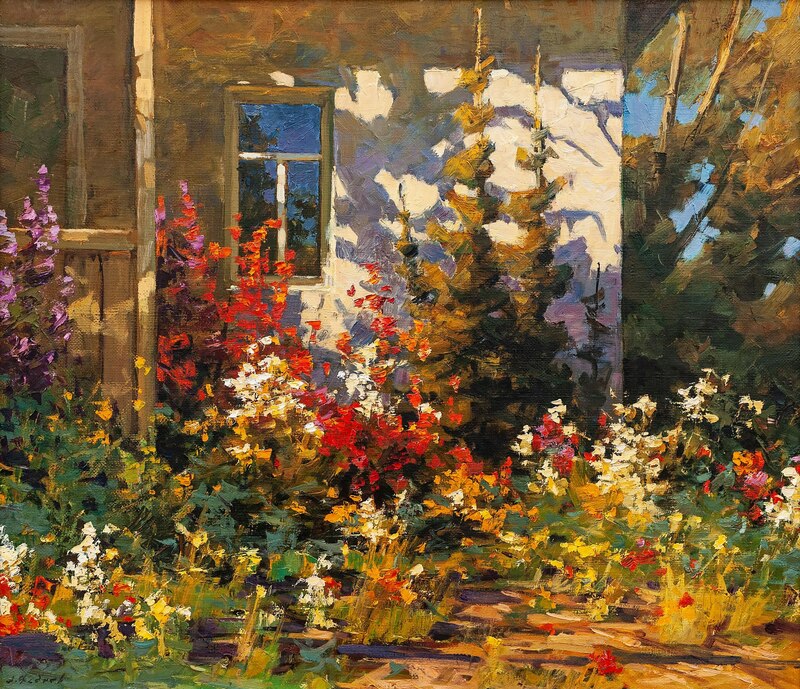 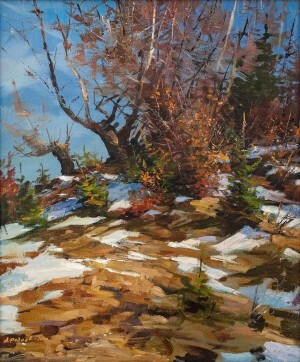 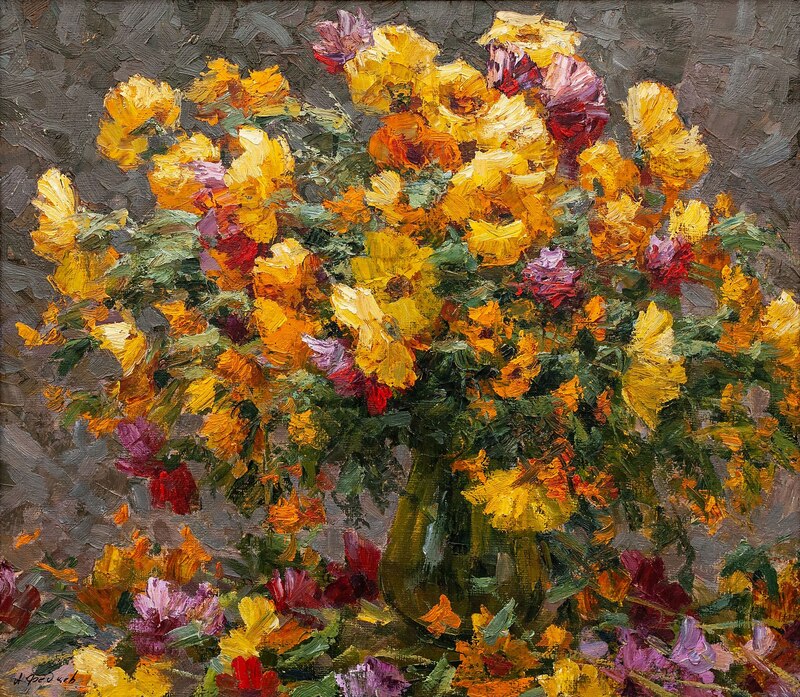 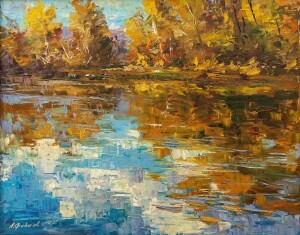 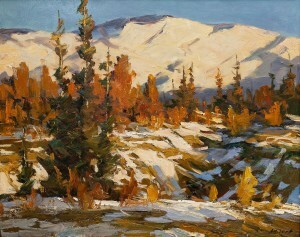 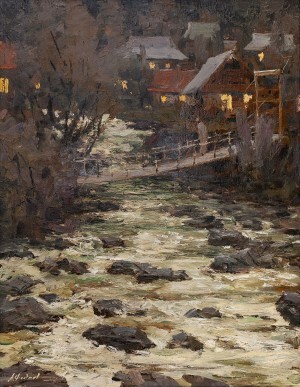 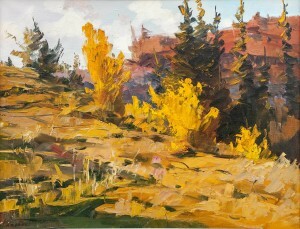 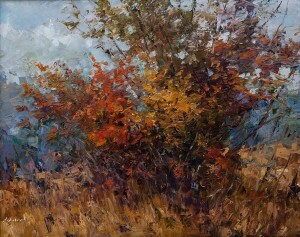 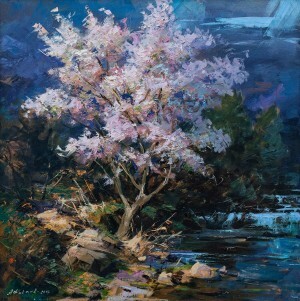 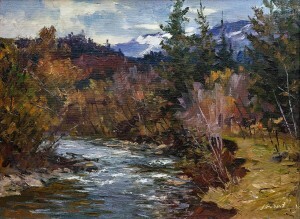 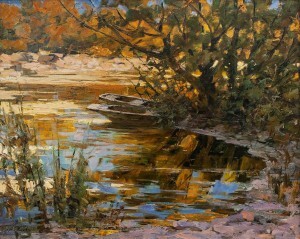 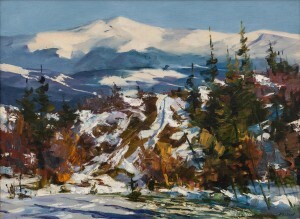 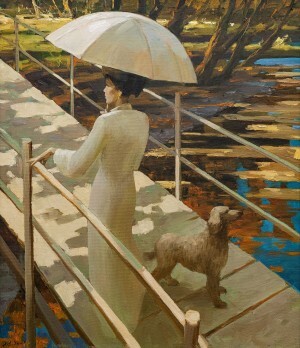 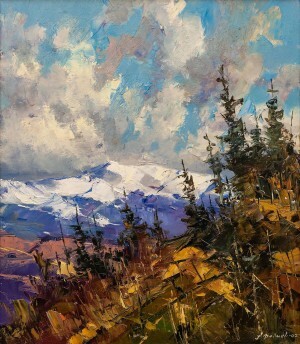 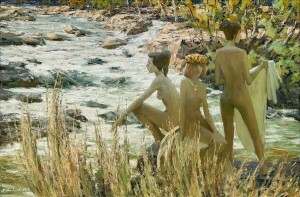 For the exhibition in his native Transcarpathian, the artist prepared about 60 works – all done in the technique of oil painting. 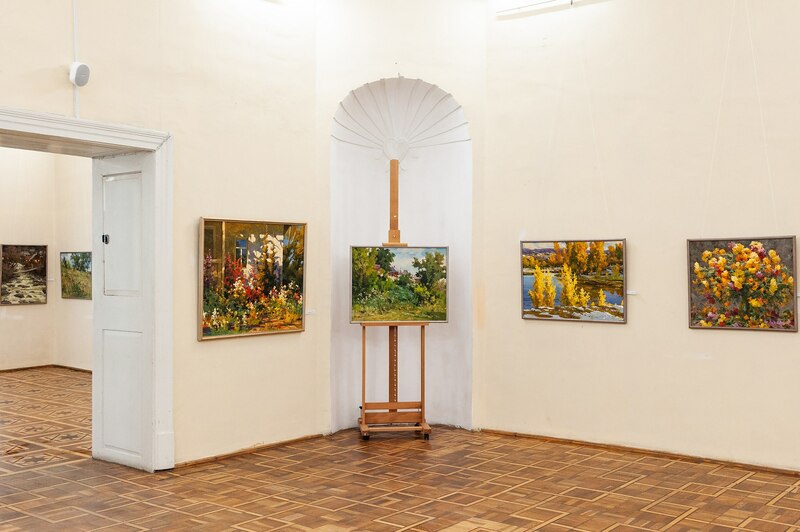 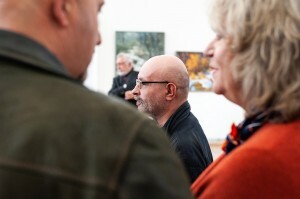 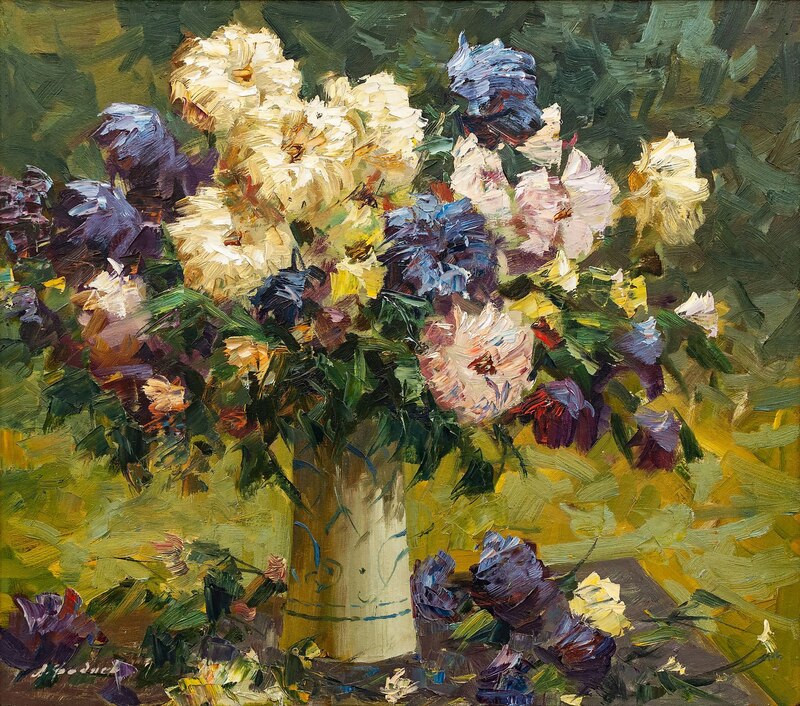 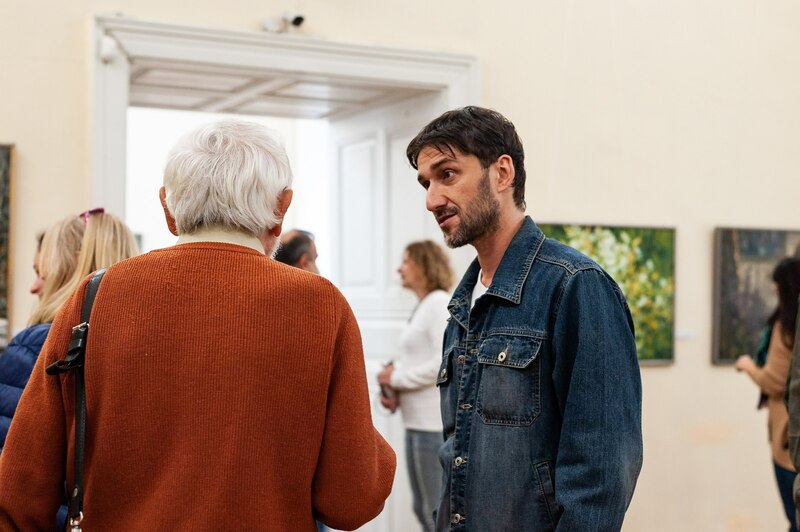 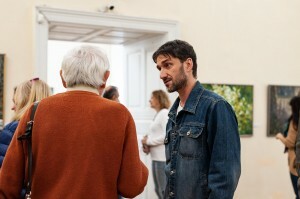 The overwhelming majority of the paintings were performed by the artist during the last five or six years – since his previous personal exhibition in Uzhhorod (in 2012). 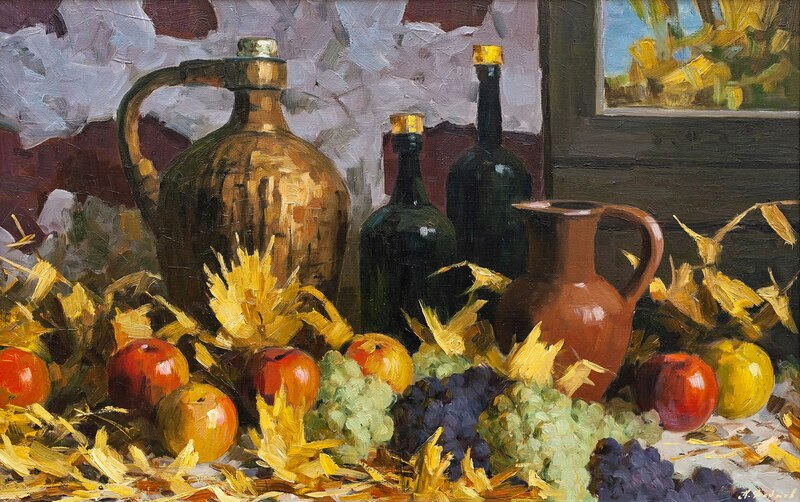 The artist remains faithful to his favourite genres – landscape and still life, although the exhibition presents both genre compositions and works on sacred themes. 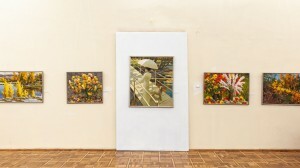 According to the art critic Liudmyla Biksei, hard work and sincere devotion to art are the creative credo of Oleksandr Fediaiev. 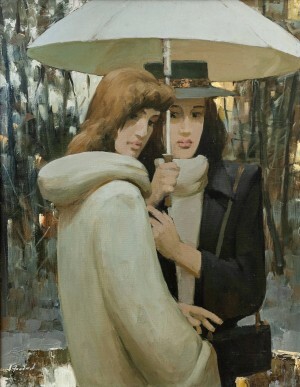 A painter successfully combines the realities of the world and the romance of a person’s emotional state. Honoured Artist of Ukraine Vasyl Popovych on the occasion of the exhibition opening said that Oleksandr Fediaiev's works are characterized by a special colour and realism. 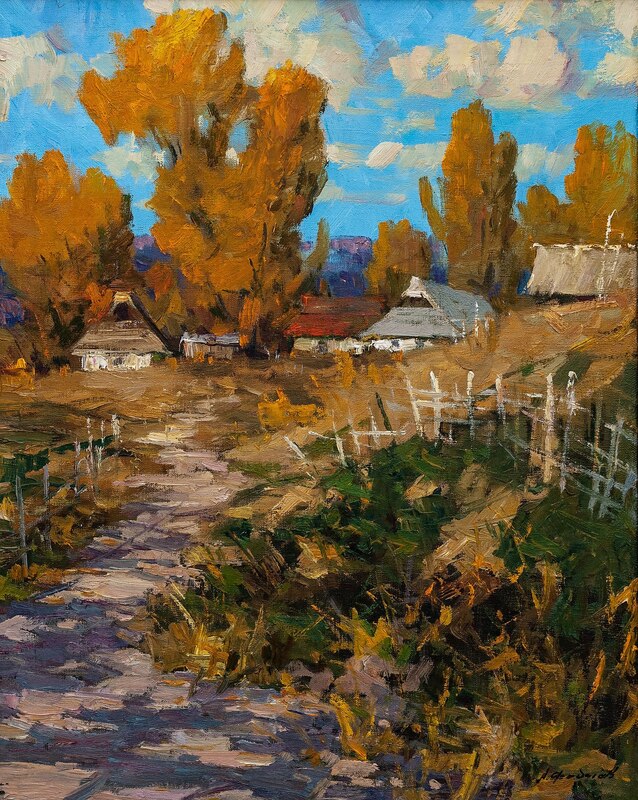 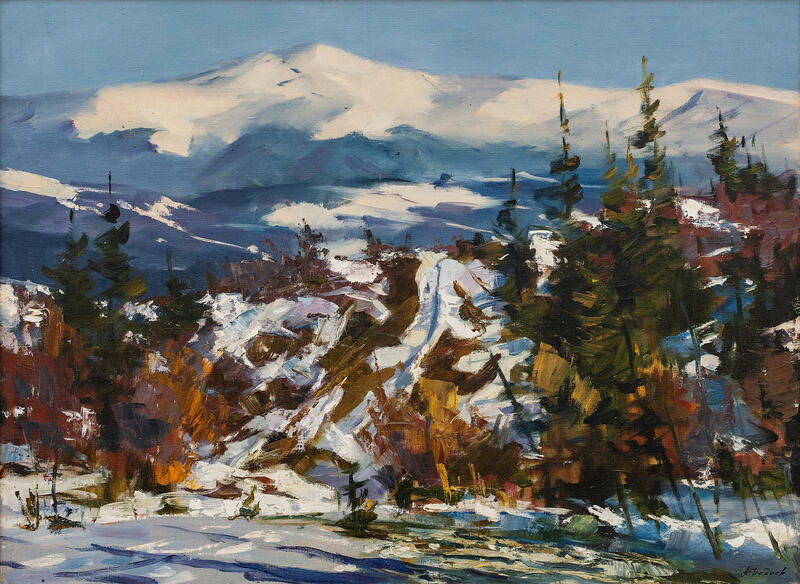 Obviously, through his creativity, the artist tries to express that immeasurably great love for his native land, which he feels; therefore, both the native Carpathians and the generous Slobozhanschna region are extremely subtle and sensitive. 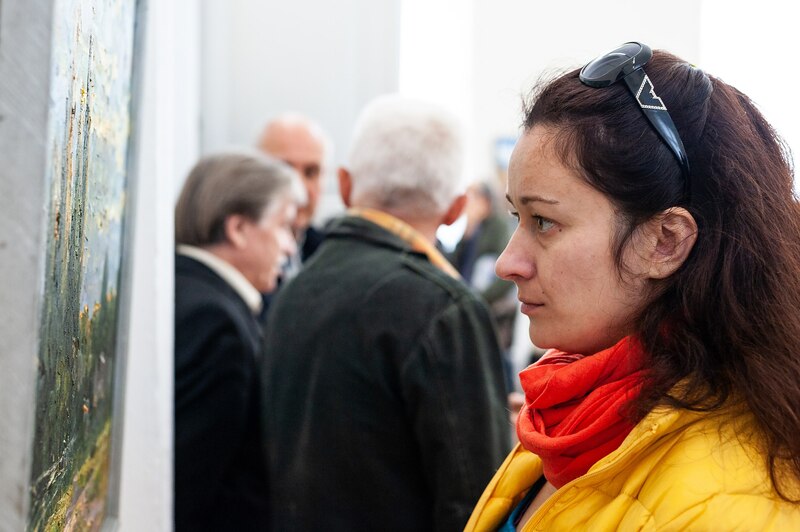 “For Uzhhorod, this is a truly significant event, because the exhibition is extremely interesting both for colour and thematic variety. Works are realistic, modern in their own way. 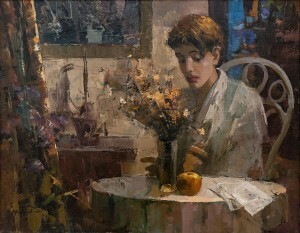 One can see how the artist cuts off all unnecessary things and presents only the essence. 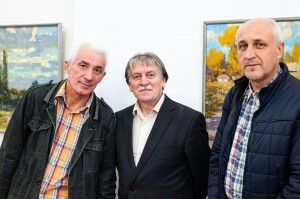 That is why we can only say that Oleksandr Fediaiev is a really great master,” Popovych added. The exposition will last until 18 November.